I was planning an author birthday celebration for Stephen R. Swinburne before I received the phone call about the school closing. I had gathered up all our books written by Stephen including Safe in a Storm, a rhyming picture book that features animals staying safe in a storm. Hang on, my little sloth. I've got you -- hold tight." Hush now, my little bear. Inside we're all snug." I didn't plan to feature this book for Stephen's birthday however as we read it this morning it reminded my children that they can count on their mom, dad, and each other to keep them safe in a storm. 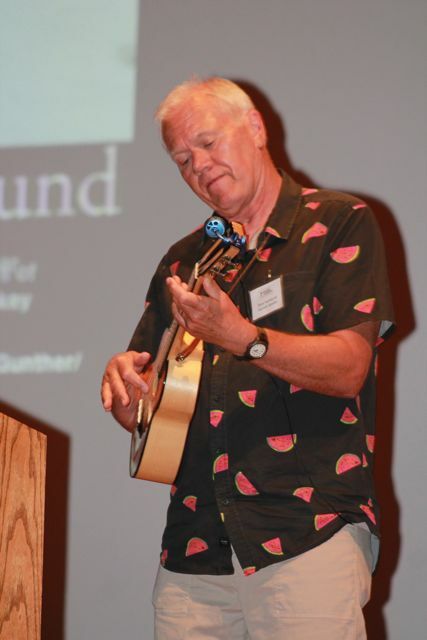 Stephen R. Swinburne is the author of over thirty books including Sea Turtle Scientist, Once a Wolf: How Wildlife Biologists Fought to Bring Back the Gray Wolf, and What Color is Nature?. He was born in London, England and in 1960, at the age of 8, he sailed to America. He spent his childhood moving homes numerous times, writing in his journals, loving words and nature, dreaming about becoming a marine biologist and playing with his many friends. (Mazza Museum Keynote and website). Later, he studied biology and English at Castleton State College. "I was the first student in the history of my college to receive what they called then a 'contract' degree, a combined major of biology and English". Stephen used his degree to become a park ranger for the National Park Service. 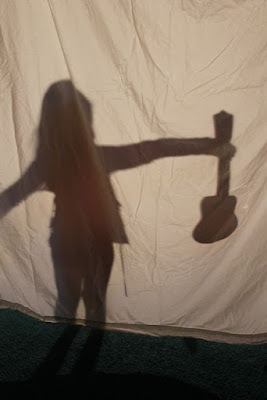 (Miss Rumphius Effect blog). In 1988, Stephen and his wife had their first child and he was inspired to follow his childhood passion for writing. "I found one book in particular, Owl Moon by Jane Yolen, and I realized that I'm a naturalist and that I love animals. It was a slow process that began around 1990, and then I started writing children's books full time in 1994." (Crawford County Now). "I am trying to create an army of conservationists, people that love these animals, and will eventually protect them." (Just One More Book). 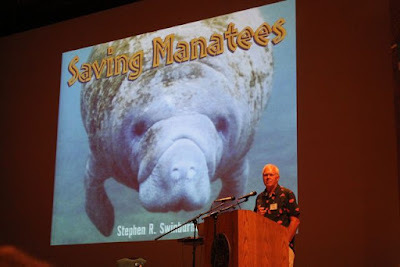 Stephen has written many non-fiction books about animals including a few for inclusion in the Scientists in the Field series. I wanted to feature Guess Whose Shadow? for our family reading experience. I had a fun idea that I thought my youngest daughter would enjoy. 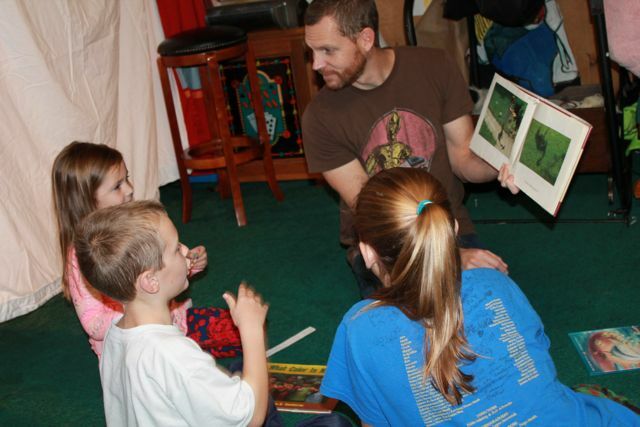 However, with the school cancellation, the whole family was able to enjoy this book and the activity together. 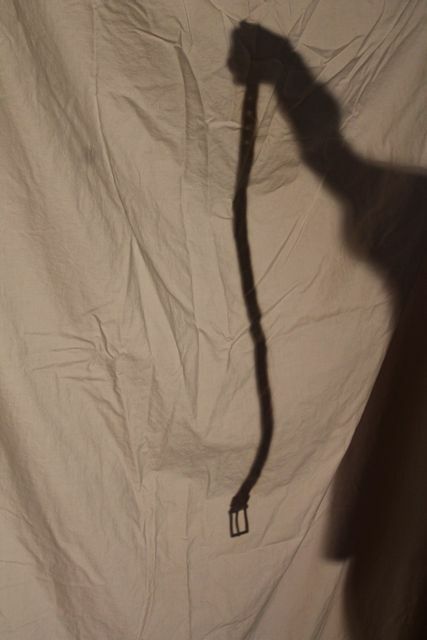 Guess Whose Shadow? features vivid photography and simple text to explain shadows to young children. 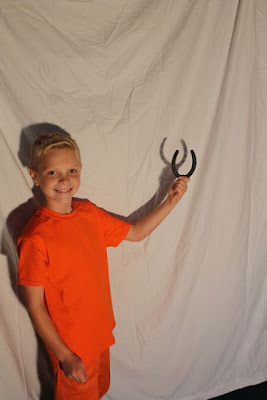 Near the end of the book, Stephen suggests, "You can go on a shadow hunt. Can you guess whose shadow?" 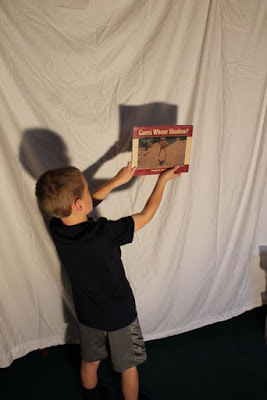 Then, a series of photographs allow the reader to guess what might be making the shadow before turning the page to find out what it really is. 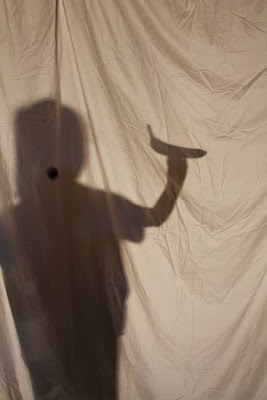 After reading Guess Whose Shadow? 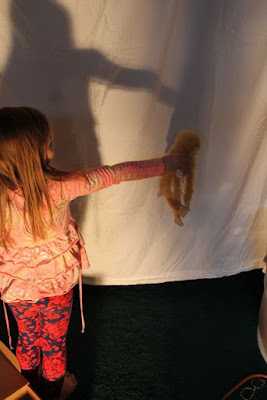 we played a shadow guessing game in our basement. 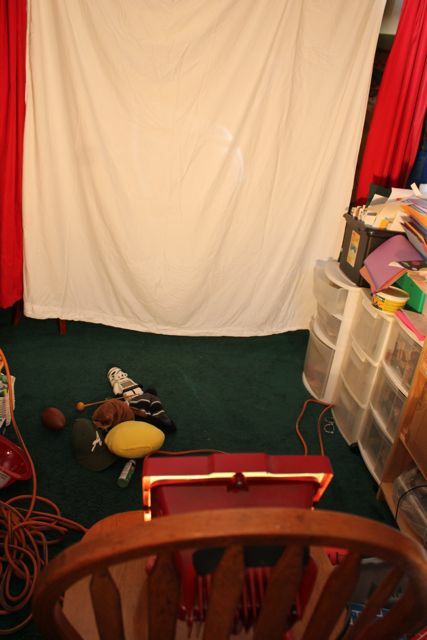 We set up a white sheet and a bright light. My youngest daughter was up first. 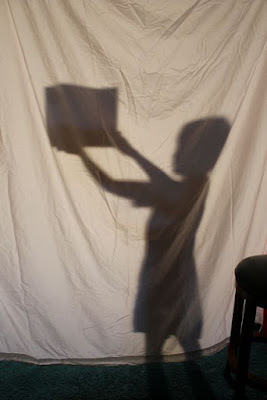 She gathered a box full of things from her bedroom for us to "Guess Whose Shadow?". 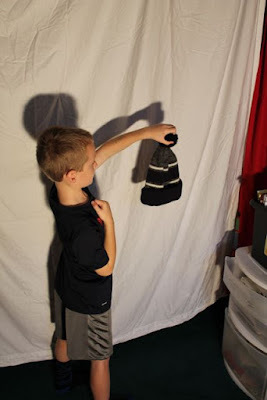 We made a SHADOW shadow while we waited for my youngest son to pick out his items. It's a hat to keep you warm! 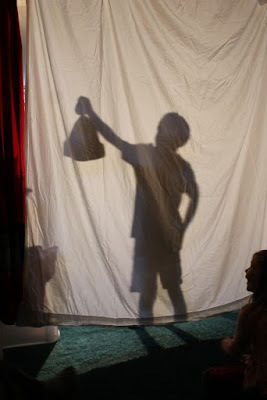 Here is our shadow-making set-up. All you'll need is a bright light and white sheet. 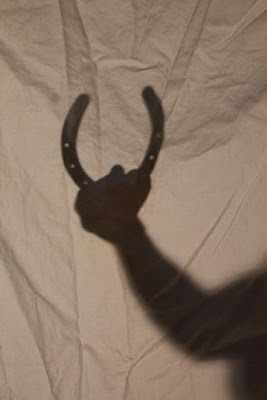 It's a horseshoe for good luck! A belt to hold up your pants! 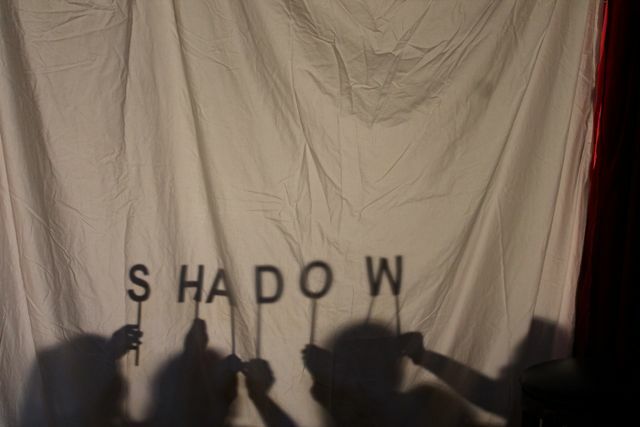 Hey, Stephen would like this shadow! 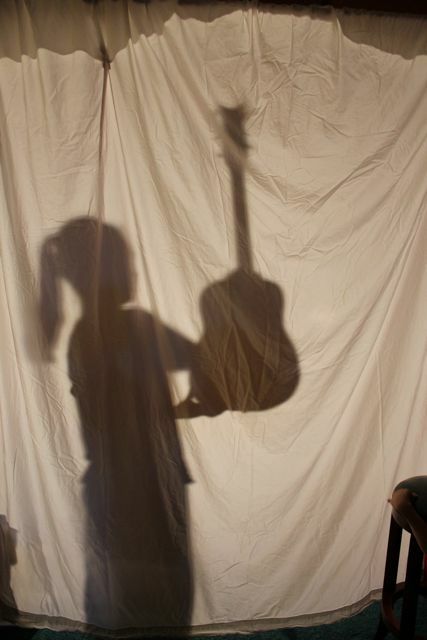 A guitar! Stephen is a huge fan of The Beatles. (See Steve's website). 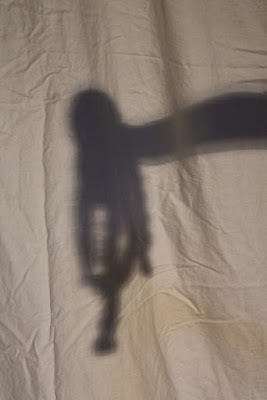 Just one more shadow...Guess whose shadow? Hey, it's a really cool book!